Situated in the famous and beautiful Kentmere Valley at the confluence of the River Kent and Park Beck, the studio produces fine handmade ceramics of outstanding quality. All pieces are finished and painted by hand, incorporating fine enamels and lustre's. Gordon specialises in lamps, tableware, individual pieces, commemorative items and commissions, all of which are fired many times during the course of production. He also makes lamps etc to co-ordinate with clients' own colour and design requirements. Over the years Gordon has continued to develop and refine his ceramics in both quality and importance until today when they are assiduously collected and can be found in the collections of dignitaries and celebrities the world over. 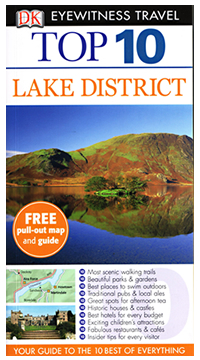 All the pieces are signed or 'Touch Marked' with the famous Kentmere name. 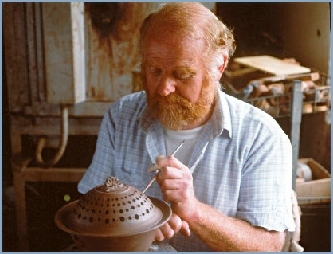 After training with George Cook at the famous Ambleside Studio Pottery from 1959-66 Gordon set up his own pottery in the Langdale Valley at Skelwith Fold where he worked for four years before moving to Kentmere.